Summers in Georgia are extremely hot- I'm talking 90+ degrees every single day. With weather like this, it makes me want to wear nothing but lightweight dresses and slip on sandals that way my body can breathe. 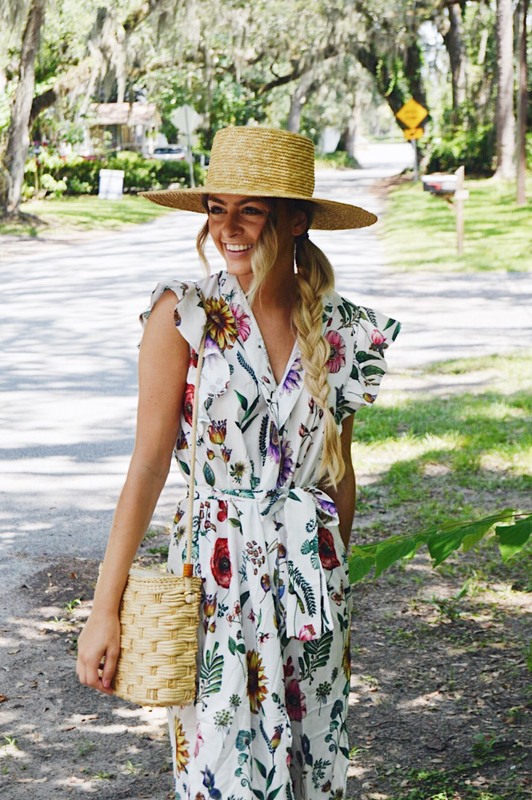 I just recently added this floral shirt dress to my wardrobe and I think it is the perfect dress for a hot summer day. 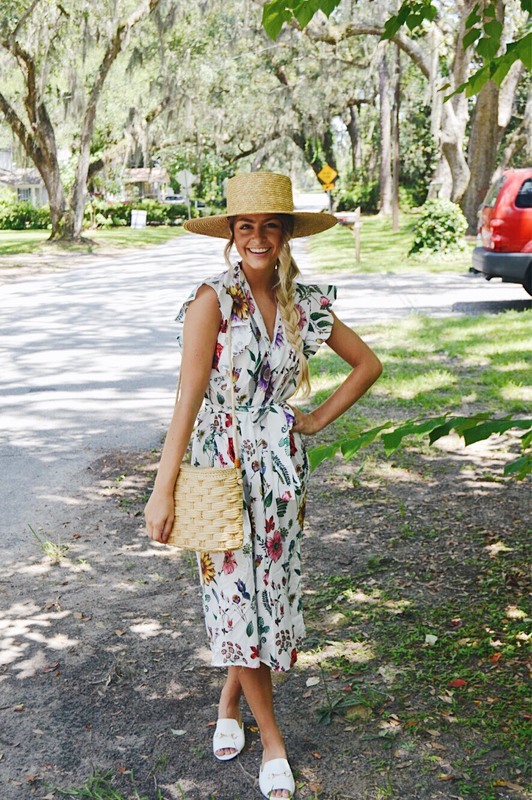 The fabric is extremely light and the floral print is so fun and gives off major vacation vibes. 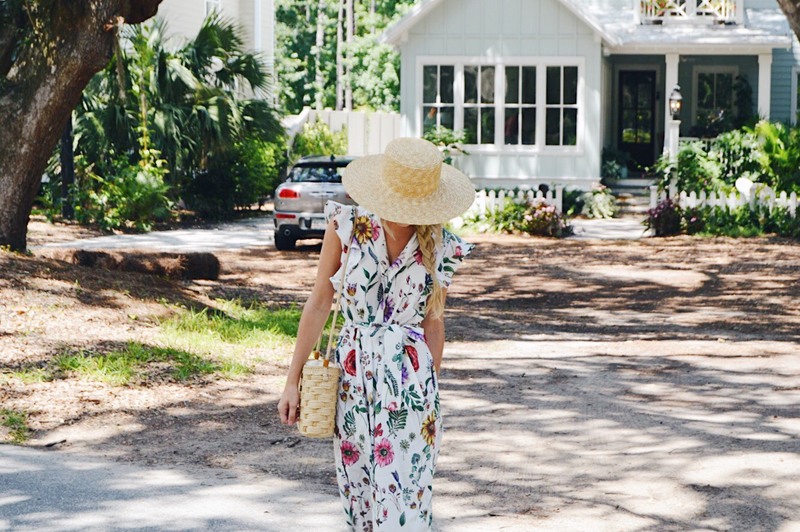 On a particularly hot summer afternoon last week, Joe and I were heading out for lunch so I slipped into this dress and paired it with my infamous straw hat, basket bag and these easy slip on sandals and I stayed nice and cool while still looking cute, even in the hot Georgia heat.